GSSSB Office Assistant Cut off Marks Notification Declared. 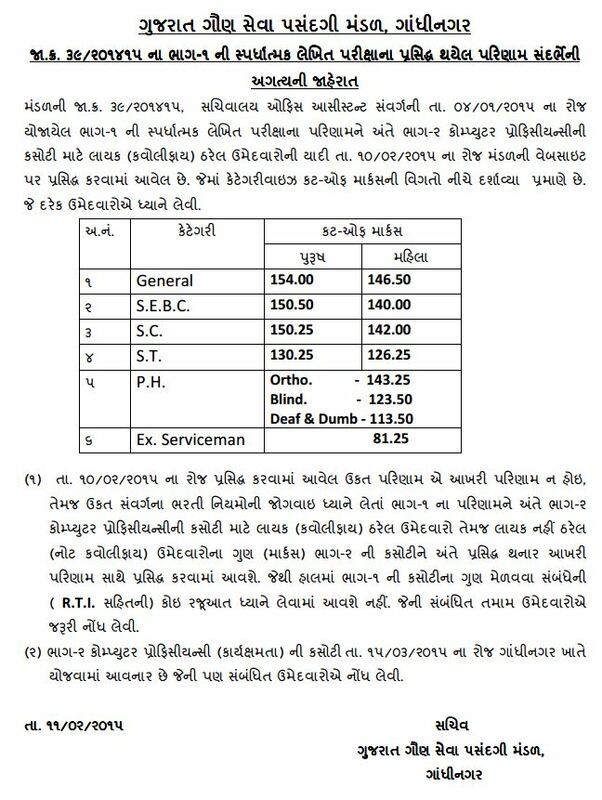 Gujarat Gaun Seva Pasandgi Mandal, Gandhinagar has published cut off marks for Sachivalay Office Assistant Part-2 Computer Test. Office Assistant Computer Test will be held on 15-03-2015 at Gandhinagar.